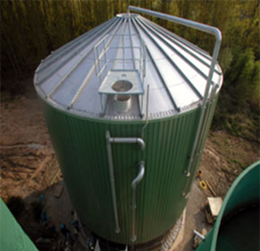 The AutoLogger system automatically measures the contents of a silo, and periodically updates the AXIOM inventory levels. Maintaining accurate inventory levels of all items is essential in operating in today's manufacturing environment. Most manufacturers receive, store and ship at least some of their materials in bulk, as a solid, liquid or gas. 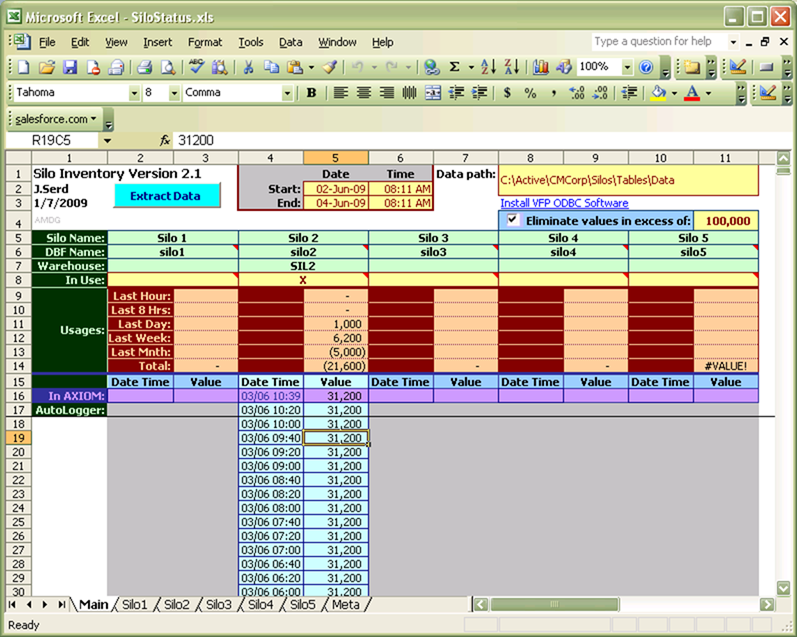 Updating a computer-based ERP system is problematical. C&M Corporation (www.cmcorporation.com) , a vertically integrated manufacturer of custom cable, coil cords and cable assemblies with corporate headquarters and manufacturing facilities in Wauregan, CT, consumes truckload quantities of 'compounds' which are used as insulation on copper wire and cable. These compounds are delivered in hopper trucks and pneumatically transferred into large silos capable of holding up to 50,000 kilos. C&M maintains 5 silos with compounds currently valued in excess of $2 per kilo. Maintaining sufficient inventories are essential to keeping production lines operating. Retaining excess material negatively impacts cash flow and could be disastrous if a shipment is on site but the corresponding silo does not have sufficient 'head space' to receive the load. Also, many of C&M's customers require strict manufacturing process control, so it is imperative that compound lot numbers are tracked throughout the manufacturing process. 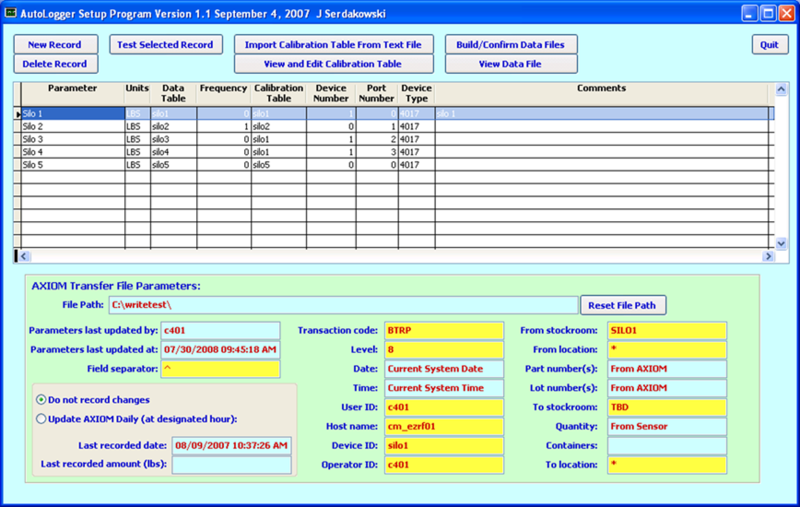 C&M uses Midwest Industrial Systems EZRF bar code scanning software. EZRF integrates seamlessly with AXIOM to allow bar code readers to update AXIOM inventory levels. The bar code devices generate a text file in a specified format that an EZRF server interprets to pass the information to AXIOM. Working with EZRF engineers, AutoSoft was able to duplicate this exact file structure to allow AutoLogger to also update AXIOM inventory levels using the EZRF software and server. Contact Jim Worgull, V.P. Midewest Industrial Systems, Inc at 401.808.8910 for more information on the EZRF system. This device generates a 4 to 20 milliamp signal which is fed into an Advantech ADAM 4017 analog to digital converter. "The ADAM-4017 is a 16-bit, 8-channel analog input module that provides programmable input ranges on all channels. This module is an extremely cost-effective solution for industrial measurement and monitoring applications. Its opto-isolated inputs provide 3000 VDC of isolation between the analog input and the module, protecting the module and peripherals from damage due to high input-line voltages. ADAM-4017 offers signal conditioning, A/D conversion, ranging and RS-485 digital communication functions. The module protects your equipment from ground loops and power surges by providing optoisolation of A/D input and transformer based isolation up to 3000 VDC. The ADAM-4017 uses a 16-bit microprocessor-controlled sigma-delta A/D converter to convert sensor voltage or current into digital data. 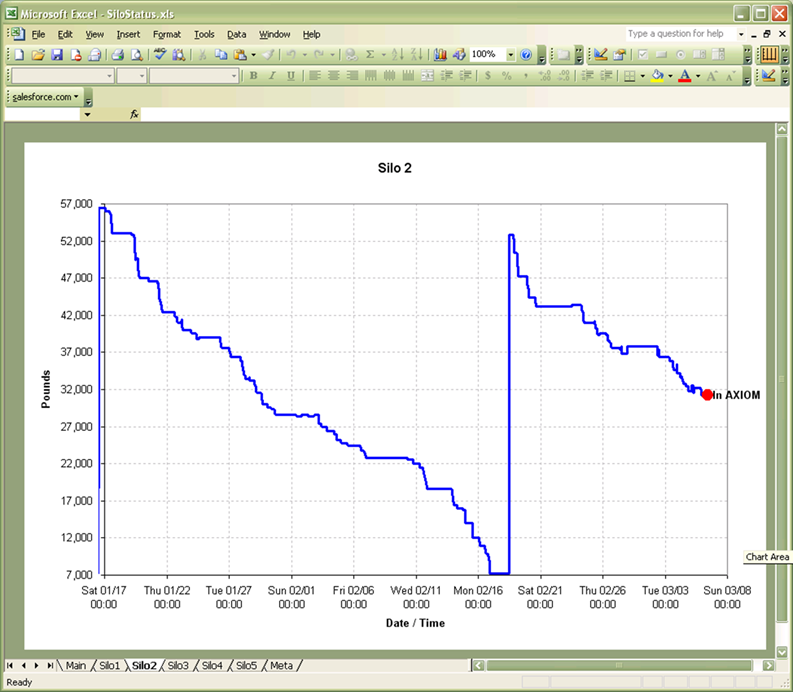 The digital data is then translated into engineering units. When prompted by the host computer, the module sends the data to the host through a standard RS-485 interface." This in turn feeds the signal into an Advantech 4071, which has an IP address, allowing computers on the LAN to talk with it. 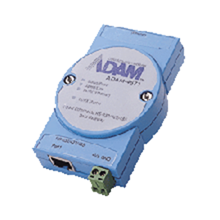 "ADAM-4571 and ADAM-4571L are fast and cost effective data gateways between serial and Ethernet interfaces. The units also bring the advantages of remote management and data accessibility to RS-232/422/485 devices. The transmission speed of the units is up to 230 kbps, meeting the demands for high-speed data exchanges. 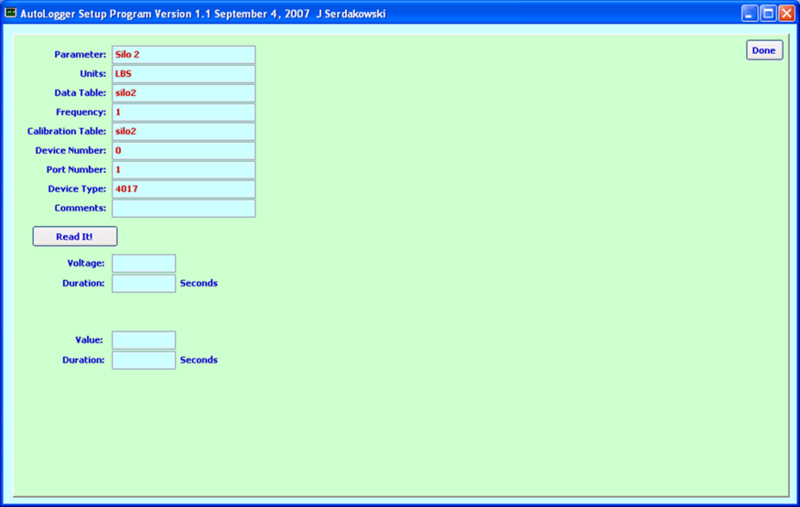 In addition, you can use Windows utility to configure ADAM-4571 and ADAM-4571L without further programming. The units not only protect your current hardware investment but also ensure future network expandability. Since the protocol conversion is transparent, all your existing devices can be seamlessly integrated with an Ethernet network. 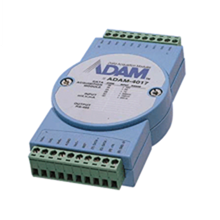 Therefore, ADAM-4571 and ADAM-4571L can be used in security systems, factory automation, SCADA, transportation and more. ADAM-4571 and ADAM4571L link both your existing human-machine interface(HMI) PC and your RS-232/422/485 devices with Ethernet cables. ADAM-4571 and ADAM-4571L come with a Windows configuration and port-mapping utility. The configuration tool can auto-detect all Ethernet Data Gateway devices on the local network, and let you adjust all settings. The port mapping utility helps you to setup up COM ports for Windows NT/2000/XP platform. This helps you configure all ports to meet your requirements." 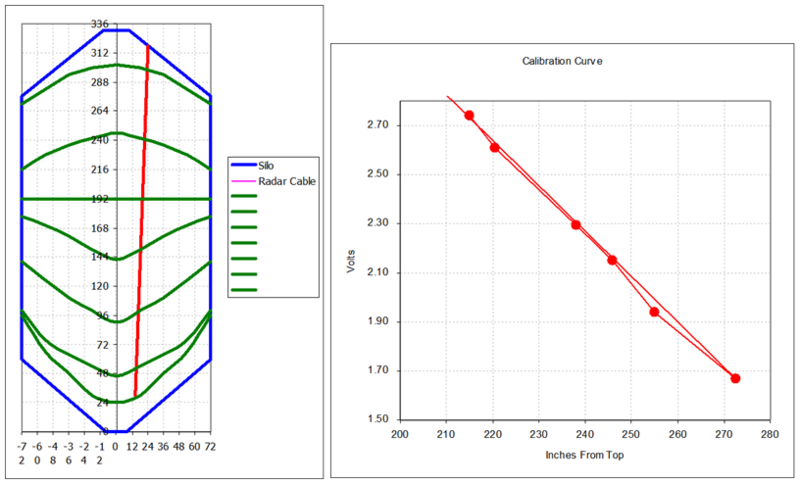 Calibration curves can be linear or non-linear, depending upon the shape of your silo. 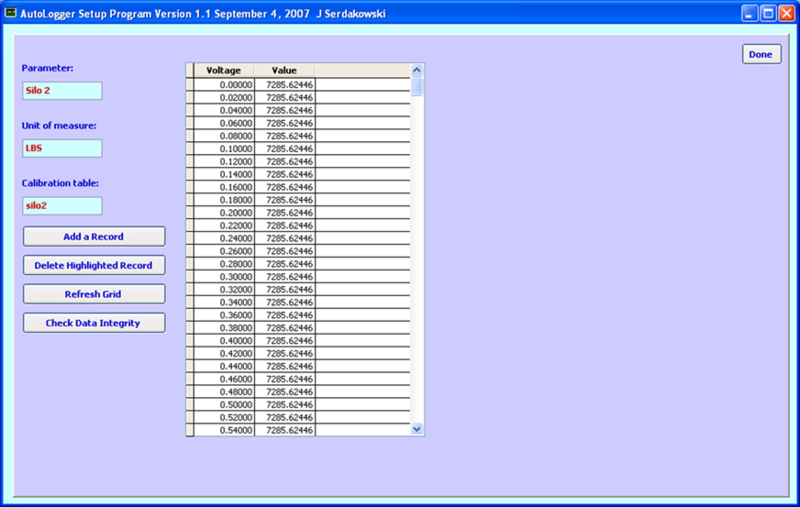 One can import a calibration curve and/or manually create it or edit it in AutoLogger Setup. 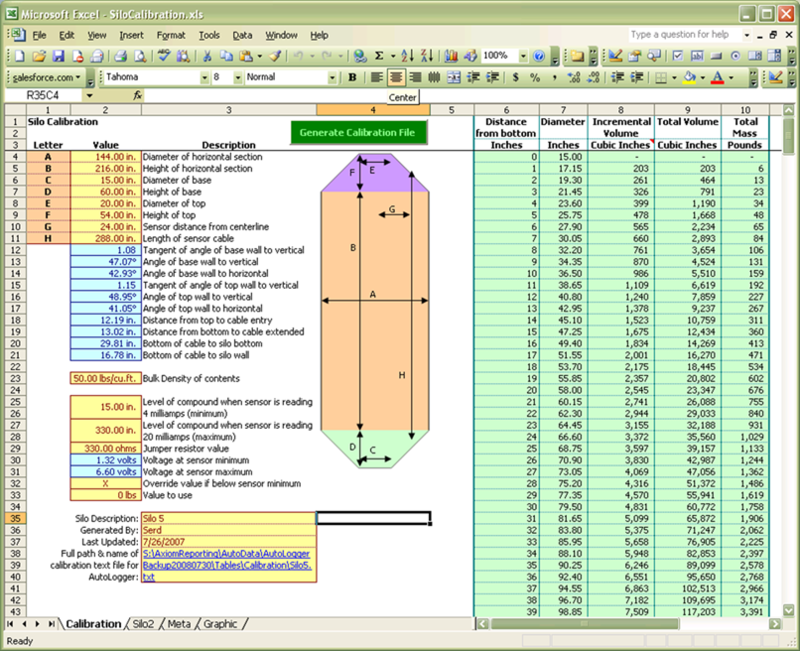 Finally, there is a SiloCalibration.xls file to generate the silo calibration curve for complex geometries and non-horizontal surfaces.